UPDATED: Mon., Sept. 17, 2018, 12:46 p.m.
Steve Groene must vacate the Coeur d’Alene house he has lived in for more than a decade, a judge ruled Thursday, ending protracted litigation over the home that was built for Groene’s daughter following her 2005 abduction by a child molester and serial killer. Kootenai County District Court Judge Rich Christensen ruled that Steve Groene has no right stay in the house at 2323 E. French Gulch Road, which was built with community donations and is owned by the Shasta Groene Charitable Trust. Steve Groene, who has battled throat cancer and represented himself in the eviction case, said he was also ordered to pay all attorneys’ fees and believes he will end up homeless. “No idea,” the 61-year-old wrote in an instant message when asked about his housing prospects. The trust was established after Shasta Groene survived one of the region’s most horrific crime sprees. She became a household name in May 2005 when serial killer Joseph Duncan III broke into her family’s Coeur d’Alene home and fatally bludgeoned her 13-year-old brother, Slade Groene; their mother, Brenda Groene; and her boyfriend, Mark McKenzie. Duncan then abducted Shasta, who was 8, and her 9-year-old brother, Dylan, and took them to a remote campsite in Western Montana, where he abused and tortured them for weeks before shooting Dylan and burning his body. Duncan was arrested and Shasta was rescued that July, after Duncan brought the girl back to Coeur d’Alene and a waitress at a Denny’s restaurant recognized her and called police. Steve Groene was not a target of the crimes. 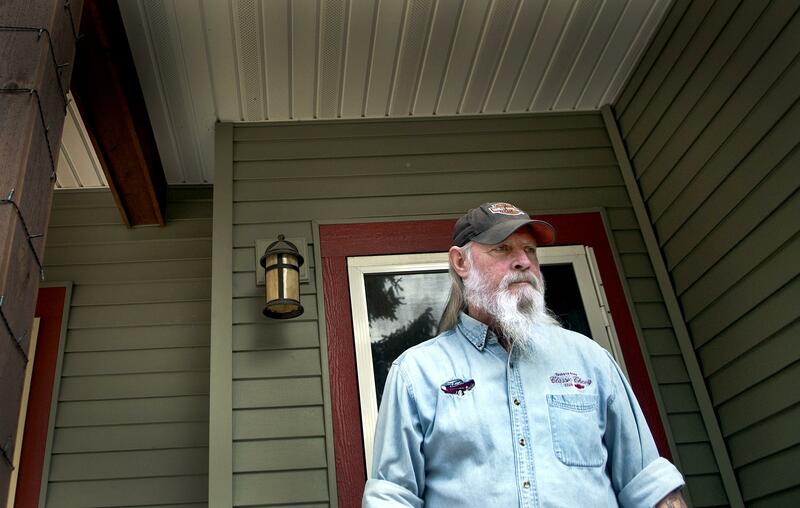 The effort to evict him began last year when the three trustees decided they must sell the Coeur d’Alene house – cashing out the trust’s only remaining asset – to continue supporting Shasta Groene, who is now 21 and living in the Boise area. Previously, she was expected to assume ownership of the house when the trust expires on her 25th birthday. Correction: This story was changed on Monday, Sept. 17, 2018. A previous version misstated where Steve Groene lived at the time of Joseph Duncan’s murders in Coeur d’Alene, due to a reporter’s error. Published: Sept. 14, 2018, 5:47 p.m. Updated: Sept. 17, 2018, 12:46 p.m.